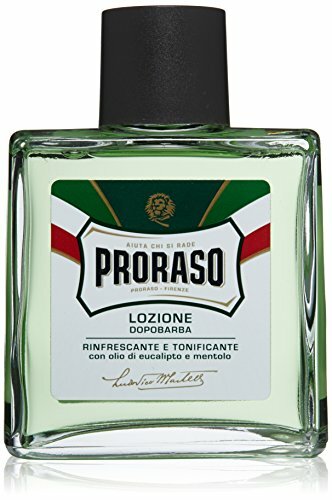 Proraso After Shave is a traditional after shave from Italy. It has a light, refreshing scent. Very popular in Europe and USA. Containing cooling menthol, toning witch hazel, menthol and soothing allantoin. Proraso After Shave will gently refresh, moisturise and invigorate your skin and help skin recover from shaving and leave you with a manly, fresh scent. Proraso was founded in Florence, Italy in 1926. Proraso products are rich in natural vegetable extracts, are without artificial colours and are dermatologically tested. Proraso is one of the leading suppliers of men's shaving goods in the world, millions of men love using Proraso at part of their daily shaving and grooming routine.